This week I had a conversation in which I defended a book I have never read because the primary criticism I heard leveled against it was simply that “it has magic.” My response was, equally simply, “what’s wrong with magic?” The magical and the fantastic has long been seen unfairly, in the minds of some “serious” readers, as fundamentally lesser works or as lacking in basic literary merit. I have to ask, though, what are The Odyssey and The Tempest if not works of fantasy? I read a lot. I watch a lot of movies and I’ve seen what is probably more than my fair share of television, and I tend to read a decent amount of comics, or graphic novels for those too afraid to admit that they like them. In my countless hours of “study”, I have come to some conclusions about what makes a work valid or consequential. A work is never important simply because of its subject matter. Never. A fantasy novel involving elves and dwarves can have more to say about the human condition than one about an impoverished family trying to make ends meet; a graphic novel set after a zombie apocalypse may delve more deeply into the psychology of what makes us human than a tome about the relationship of Freud and Jung. Everything comes down to the quality of the writing and the believability of the characters and their interactions within the constraints of their settings. A few days ago I finished reading an epic fantasy trilogy by David Anthony Durham called Acacia. Acacia is a work in which magic and dragons and non-human intelligent races appear; some of the characters flirt with apotheosis, and others achieve immortality. At its core, however, Acacia is a work that is about the compromises men (and women) make, and the consequences those compromises bring. I have read several works, academic and literary, about slavery, in the United States, in Rome, and elsewhere, but I have honestly never read anything that pondered the implications and the psychology of slavery, of both the slaves and the slavers, as deeply as the Acacia trilogy. The only work that even comes close is Howard Fast’s excellent Spartacus, but the Acacia trilogy literally spends hundreds of pages with slaves struggling towards freedom, and the slavers struggling towards justification. The city works on multiple levels, much like the story. For that bad pun, I apologize, but I don’t regret. An argument oft-repeated regarding why works of fiction set on our world, using the rules of the universe as we understand them, are more likely to hold relevance, is that characters in a fantasy setting are more difficult to relate to if the events in the story they inhabit can’t actually happen. That is an argument that I can fully understand while simultaneously disagreeing with wholeheartedly. For example, Neil Gaiman’s American Gods gets what makes the modern man tick more thoroughly than any other contemporary novel I can think of, and most of the major characters in that novel are literally divine. On the other hand, your typical bodice-ripping romance novel is no more reflective on the human condition than the paper it is printed on. Thus far, I have written about why works of fantasy are not inferior to their less unrealistic cousins, but I have yet to discuss why I have such an adoration for the genre. If I had to describe the appeal of fantasy in one word, it would be this one: vastness. Fantasy, and hard science-fiction for that matter, possesses a potential for the vast that most works of fiction simply can’t rival. This is certainly not without exceptions, for example the more major works of Victor Hugo, Leo Tolstoy, and James Michener. But the best works of epic fantasy tend to be of a scale most authors don’t approach in more ways than just sheer page length. The works of J.R.R. 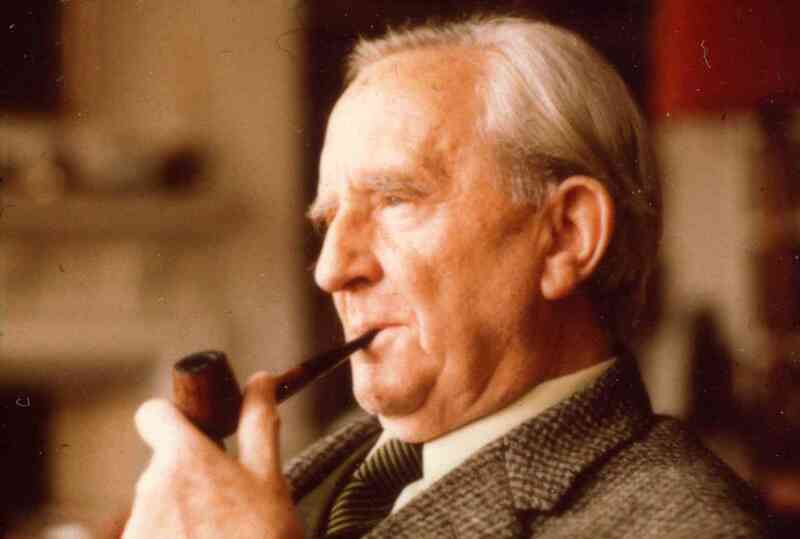 Tolkien set in Middle Earth, most notably The Hobbit and The Lord of the Rings, create a world that has been imagined from the ground up. The characters have genealogies, the races have their own unique languages, and the world has a history. 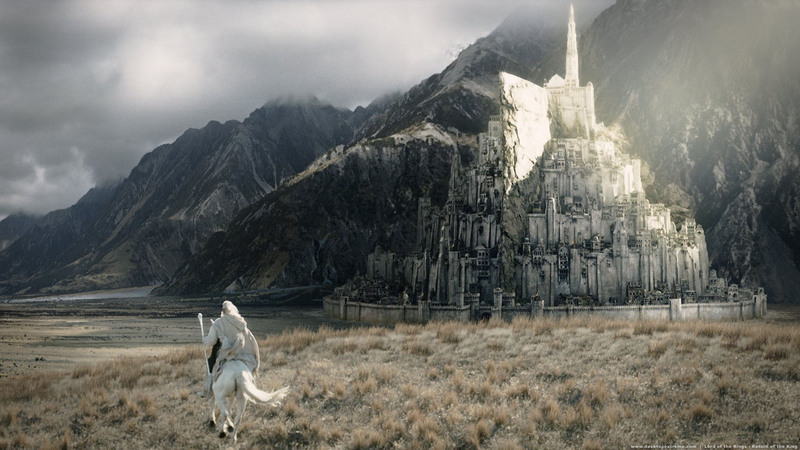 Many fantasy epics, especially Tolkien’s tome, transcend the typical limitations of fiction into something more mythic. The best known works of fantasy have become something more than just books, they are shared secular mythologies. While mythologies of the past have been far from forgotten, their relevance in today’s world has certainly diminished. The trope of the rightful king returning to reclaim his throne is less associated with Horus, and it’s more associated with Aragorn. The dragon needing to be slain is not faced down by Beowulf, it is faced by Bilbo and his primarily dwarven companions. Additionally, what are the Marvel and DC Comics universes if not mythologies for the modern age? Fantasy as a genre certainly has a decent amount of clichés, and many works are arguably just retreads of those that have preceded it (and anyone claiming that’s unique to fantasy is delusional), but that certainly doesn’t mean that they are interchangeable. I can’t count how many Dark Lords you’ll find while browsing the fantasy section of a bookstore (Sauron, Voldemort, Morgoth, Galbatorix, the Dark One, Emperor Palpatine, etc. ), but that does not indicate that they are all identical. In the case of the Harry Potter series of novels, Lord Voldemort is merely a fallen man, someone twisted by his own desires and shortcomings. While in The Lord of the Rings, Sauron is something much more ancient, more primordial, and is truly more of a conceptual evil rather than the human threat that is Voldemort. Fantasy series will frequently have similar, at least superficially, protagonists. Typically males, but not always, a year or two away from adulthood, generally they have been orphaned or at least have lost one parent, eventually they will gain a sage mentor, etc. It is true, yes, that these tropes are frequently obvious, but they are not necessarily indicative of characters similarities to one another. 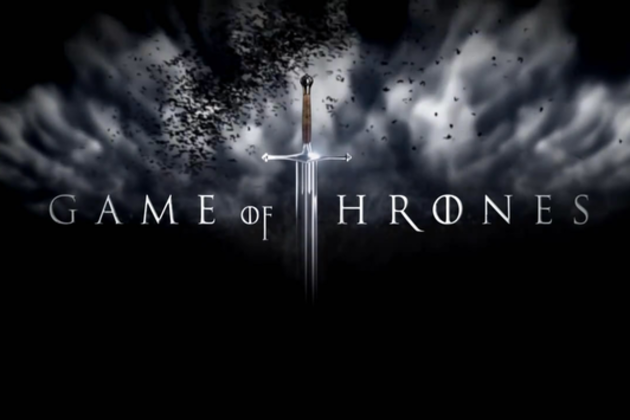 How alike are Jon Snow and Harry Potter? Or Rand al’Thor and Ged? Or Paul Atreides and Lyra Belacqua? Every character in every work can be matched to an archetype, without exception, but that does not mean that they can’t differentiate themselves from the pack. One aspect of fantasy (and also science-fiction, somewhat) that is unique to the genre is the word that spurred on this tirade/plea/faux-diatribe: magic. Magic is a word that makes some people squeal with delight and others scoff in derision, and I will be one of those people scoffing if something in real life is described as magical, but when it comes to books or movies, I’m all for it. Magic in fantasy isn’t sunshine and sparkles and impossibly colorful flowers: it’s physics. In The Wheel of Time or A Song of Ice and Fire or The Lord of the Rings, magic is part of the makeup of that reality. Harry Potter’s life doesn’t become easier when he discovers he’s a wizard, that’s when his life becomes complicated and dangerous. Systems of magic vary from work to work, from the clearly defined (except for when it isn’t) pseudo-normality of the Harry Potter series, to the vaguer, more rare and religiously tinged systems in A Song of Ice and Fire. All magic-systems are not identical, for example Brandon Sanderson’s Mistborn series incorporates a system where some people have the innate ability to use certain metals as fuel for superhuman abilities, and there is no wizardry to be found. Even in something like the comic-books featuring the X-Men, the mutant gene is really just their system of magic (and I know that Marvel comics are loaded with actual magic, so sit down Dr. Strange, your film will come), despite its more scientific explanation in-universe. I have often heard people claim that writers of fantasy (or science-fiction) are just not as good as the authors of “real” novels. This is, simply, preposterous. It would be impossible to convince me that writers like Jack Vance or Gene Wolfe are not among the best wordsmiths of the twentieth century. Or that authors of “real” novels can craft a work as complex, comprehensive, and gut-churning as the multi-tiered narrative that is George R.R. Martin’s A Song of Ice and Fire. Fantasy authors can write, never think otherwise. Fantasy is a genre intimately tied to the beginnings of literature, and art in general, so the stigma that tends to keep many people from taking fantasy seriously is, in my mind, both illogical and unfair. I am not saying that everyone has to like fantasy, and I am not claiming that fantasy is better than other types of fiction, because I know that isn’t true, but there is one other thing that I know for sure: fantasy certainly isn’t worse. This entry was posted in Essays and tagged Essays, Fantasy on January 24, 2013 by James Lambert.